Durability, reliability and versatility – all in one product! 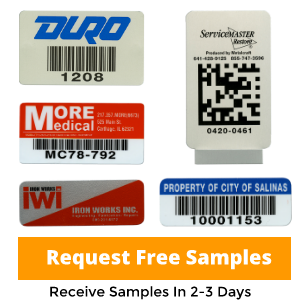 InfoDot Tags are ideal for customers who require a circular, tag for application, yet need a product that will withstand harsh conditions including chemicals, abrasion, solvents, and high temperatures. 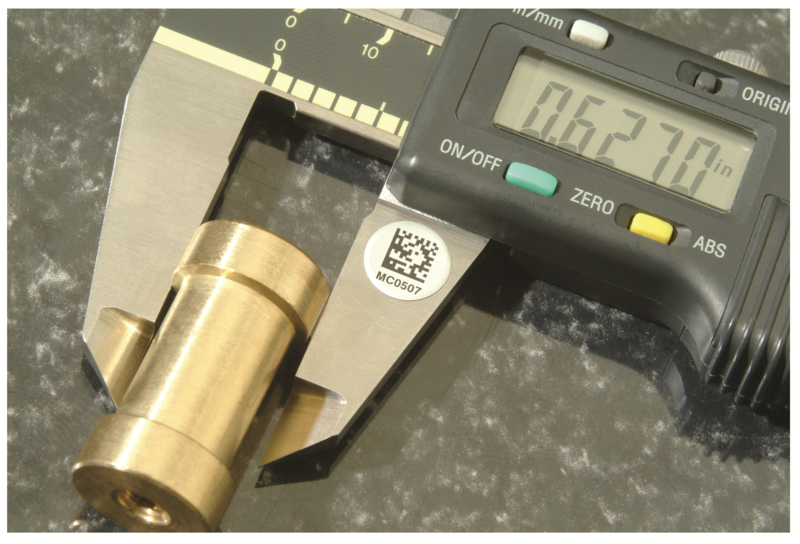 Round Valve Tags are available with or without a barcode. Black copy, logos and bar codes are photographically reproduced for maximum clarity and detail and then sealed within the anodic layer of the aluminum – ensuring accurate and reliable reads for years to come. Optional second colors are screen printed. This product is just as effective in the office of a manufacturing plant as it is on the production floor. Uses and applications for this product are limited only by the customer’s imagination From tool control to calibration to original equipment identification, Round Valve Tags are more than up to the challenge. Barcodes All alphanumeric bar codes are photo imaged with a human-readable equivalent. Guaranteed no skips in sequence. Code 39 with 2.7 to 9.4 characters per inch (CPI) is standard. Other bar code symbologies including Code 128, I 2 of 5, 2D DataMatrix and QR Code. Label Copy The printed label copy may include block type, stylized type, logos or other designs. All black copy is produced photographically. Colors other than black are screen printed. Colors Choose black only or one of our standard colors (red, blue, green, or yellow) for block style type, stylized type, logos or other designs. Due to the contrast needed for the bar code scanner, all bar codes are black. Finish All black copy and bar codes are sealed in an anodic layer to resist defacing, abrasion, and environmental conditions. Adhesive Pressure-sensitive acrylic adhesive (MC78), .002” thick supported by a liner. Very high peel strength that provides excellent resistance to heat and chemicals. Will withstand temperatures from -40°F to 300°F (intermittent). Shelf life of 24 months when stored at 72°F (22°C) and 50% relative humidity. Packaging Shipped in peel-off strips for easy removal. Both cartons and trays are clearly marked to indicate serial numbers of contents. Pressure-sensitive adhesive orders are shipped with cleaner and application instructions.